Have you bought into the idea that successful leaders never sleep? Find out why not only is this wrong, but get sleep tips from 10 well-rested CEOs. There’s a common misconception that good business leaders should extend their workday by not sleeping at night. “Sleep when you’re dead” and other sleep-shaming sayings contribute to the idea that taking even a moment’s rest means you’re not working as hard as you could. On the contrary: If you’re a business owner, getting a good night’s sleep isn’t just crucial to your health—it also makes you a more effective and inspiring leader. You’re better at problem-solving, supporting others, and getting things done when you’re well-rested. Think of a good night’s sleep as an investment that pays dividends during your workday. And if you don’t invest in yourself, you’ll get less out of the time you spend awake. Successful people know this. According to an assessment by the Harvard Business Review, senior executives tend to get more sleep than others in their organization. Contrary to the stereotype of the always-on CEO, the consensus is that executives understand the importance of sleep and do their best to get it. Of course, actually getting those coveted seven to nine hours is easier said than done. Even if you carve some sleep time out of your schedule, many people find it difficult to simply drop off into dreamland. In fact, about a third of all adults get less than seven hours of sleep a night. I’ve been CEO of a small company for 29 years. In the last three years I started jiu-jitsu, which is often compared to a physical form of chess. I find that when I can’t sleep at night, trying to walk through a particular move or hold puts me right out. Apparently, thinking about positioning to break arms and choke people out is like counting sheep. The physical activity of the workout earlier in the day doesn’t hurt either. My best advice for busy CEOs that want to squeeze in a good night’s sleep is to power down your electronic devices early in the evening. Do not stay up until 10 pm or later sending emails or responding to texts. Choose an hour of the evening where you will be ‘off’, like 8 pm, and stick to it. You may also want to read a (print) book before you go to sleep, too. This is a relaxing activity that allows you to gradually ease into slowing your brain down a bit. The biggest issue I’ve had in the past with sleep is not time, but stress. I would go to bed and just lay there for hours, thinking through all the things I needed to get done and problems I needed to solve. The best thing that worked for me was journaling right before bed. This let me get all my stressful thoughts out, and also allows the mind wander a little bit and let my thinking be a little less structured than it is during the day. I journal for 15 minutes every night right before bed. Wear an eye mask and use it religiously. There is science to back this up, and I think some rather basic psychology. Put simply, when I put on my light-blocking eye mask I know it’s time to sleep. 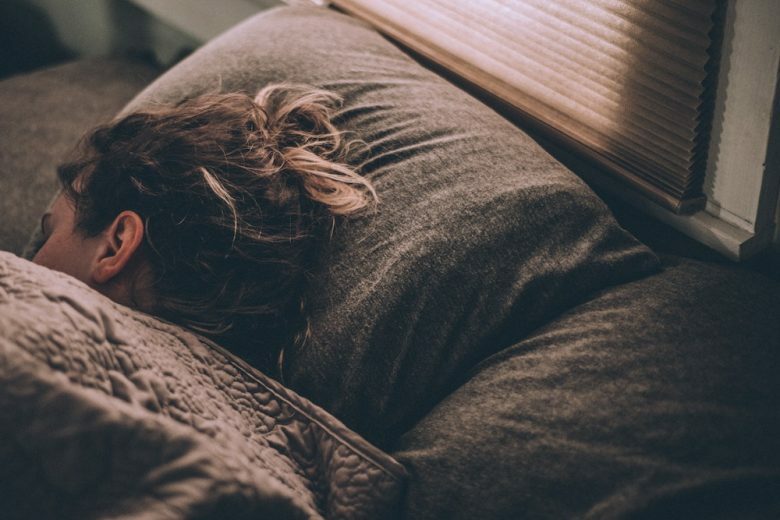 By doing this each and every time I’m sleeping, be it in bed, on a flight, on the couch or in the office (yes, I’ve done that), it signals to my body that it is time for sleep. I’ve totally trained myself that eyemask equals sleep. Sleep whenever you can. Don’t be ashamed of needing sleep. If you have a 10+ minute window, use it. Put on your mask and take that time. The best tip I can provide about making sure you’re getting enough sleep is to be strict with yourself about being consistent with your bedtime. Ensure you’re able to get at least seven solid hours of sleep (factoring in the amount of time it takes for you to fall asleep) and going to bed at a regular time. The blue light emitted from our phones, computers, and tablets is largely considered to be harmful to a person’s sleeping habits. Luckily, there are some fairly simple ways to get around exposing ourselves to blue light. First, consumers can switch their phones to Night Shift mode at all times, or at the bare minimum, after 6 pm. This will turn the phone’s screen to more of a calming orange tint. You can also purchase blue light-blocking glasses, which are becoming very popular. The third (and the most obvious) thing is just to not use phones, tablets, or computers within an hour of sleep. To get myself ready for sleep, I play a little piano every night. It’s the last thing I need to do to clear my mind. Playing an instrument has been scientifically proven to engage practically every area of the brain at once—especially the visual, auditory, and motor cortices—so it’s like a mental full body workout. Don’t eat a heavy meal just before bed. Ideally, you should finish your dinner two to four hours before bed. You may want to have a light snack with protein, such as peanut butter. Protein will help keep your blood sugar levels even throughout the night. But keep your snack light. In addition to causing indigestion, a heavy meal may give you a stomach ache, cramps, or gas. All of which can lead to insomnia. As a business owner, time is a very scarce resource, and nothing is more frustrating than setting aside the time to get a good rest and not being able to fall asleep. When all else seems to fail, I like to take melatonin. It’s actually a chemical that’s naturally found in your body, and it helps you get deeper sleep. I definitely notice a difference when I wake up and go about my day. I’m more productive, and I have more energy for longer when I get great rest. The truth is, we need more sleep – not less – if we want to work more and work better. Sleep restores our bodies and our minds, making us fit to live and lead another day. Without it, we can’t be as effective in our roles as we want to be, and no amount of caffeine, adrenaline, or moxie will make up for it.